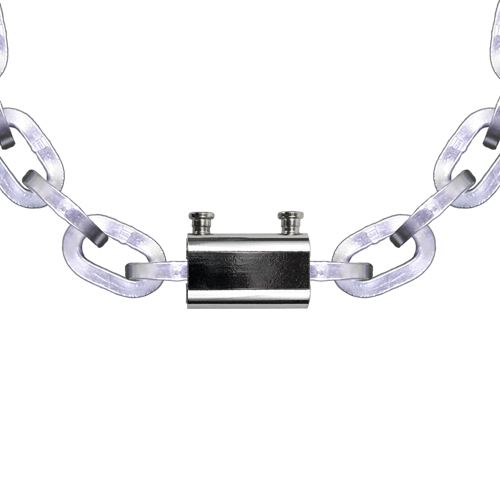 This is Pewag's original design for security chain, yet in a smaller, lighter size. It is surface hardened the same as the bigger 3/8" size (62 HRC Min. ), yet because it is smaller, it does not offer quite the same level of security. But make no mistake, this chain is still very hard to cut and works well for securing bicycles, scooters and other similar items. On jobsites and in remote locations, a bigger chain might be a better choice. For starters, the 3012 chain is actually a traction chain that was not originally designed for security--that does not make it any less formidable, however. The 3012 chain is also substantially bigger at 12 mm in diameter. While this chain is hardened 10% deep, the 3012 chain is hardened 6% deep. 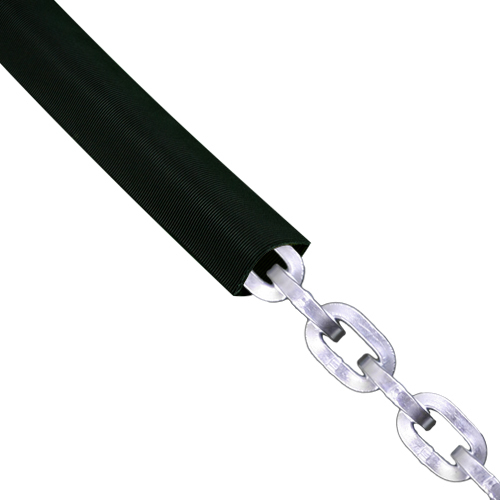 From a cosmetic perspective, this chain is silver while the 3012 chain is black. 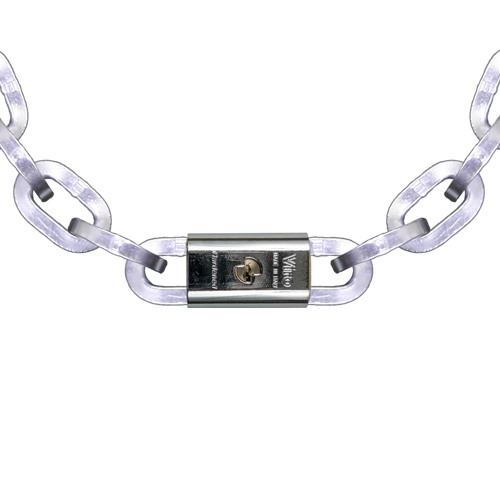 This is a true, high-security Viro padlock that was hand selected to work with this 7 mm chain. It has a fully armored brass body with tempered, copper, nickel, case-hardened and chrome plated steel armor. It also features independent and rotating lock-bolts, made of steel with pull-resistant programmed head breakage. Ball type locking mechanism, key retaining and with 5 pin pull-resistant plug. We know that's a lot of tech speak, but the point is that this is a true security lock. And because it's compact and "in line", your chain security package remains small, sleek, lightweight and ready for quick deployment. We picture this as the perfect security chain kit for bicycle, scooter and even motorcycle riders.